Course Description: Understanding Materials for Profitable Molding is a collection of individual lessons which provide an overview of the properties and characteristics of individual raw material types. Each lesson describes the properties and molding characteristics that will improve the processing of that material. 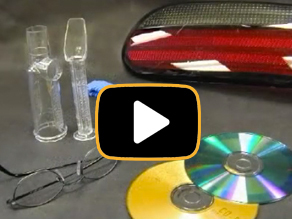 This series of interactive DVD training lessons teaches personnel how to expertly process various materials used in the injection molding process. Each lesson describes the properties and molding characteristics of the material and explores ways to improve your molding process. Lesson topics include the material’s characteristics, recommended processing windows, start-up & shutdown tips, and how to solve typical molding problems encountered with the material. This thorough understanding of the material will allow personnel to process it efficiently and safely.